I would expect to move this string to a resource file here but R# does not offer the option. Resharper doesn't do (yet?) 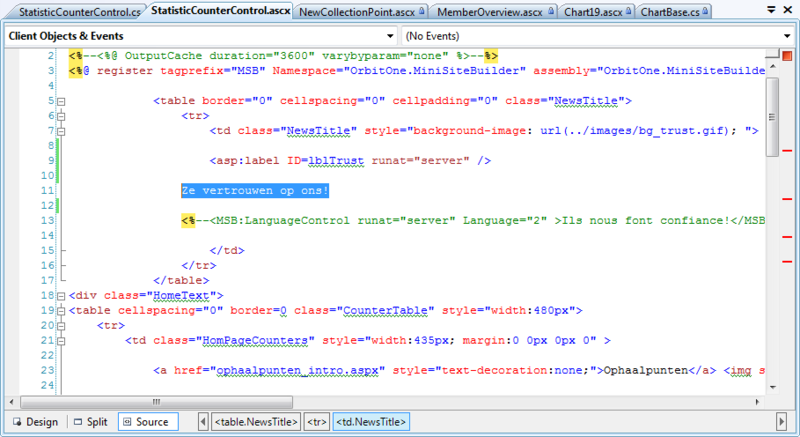 aspx files I think so I have to move the string to the codebehind where R# does offer to move it to a resource file. Howeber, the codebehind of this aspx is in another VS project (all our asp solution are structured that way) and since this project isn't a web application R# does not suggest to refactor. Text/Content belongs most of the time in aspx files so is Jetbrains planning to support this refactor in the aspx file?